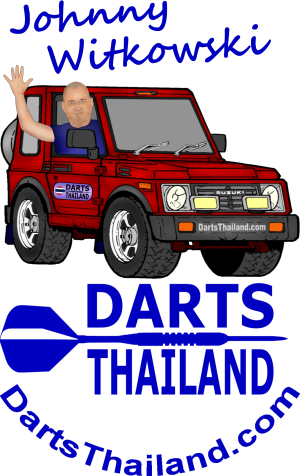 Greetings darts players worldwide from the Land of Smiles. Great to be back here at DT reporting after a few months delay. 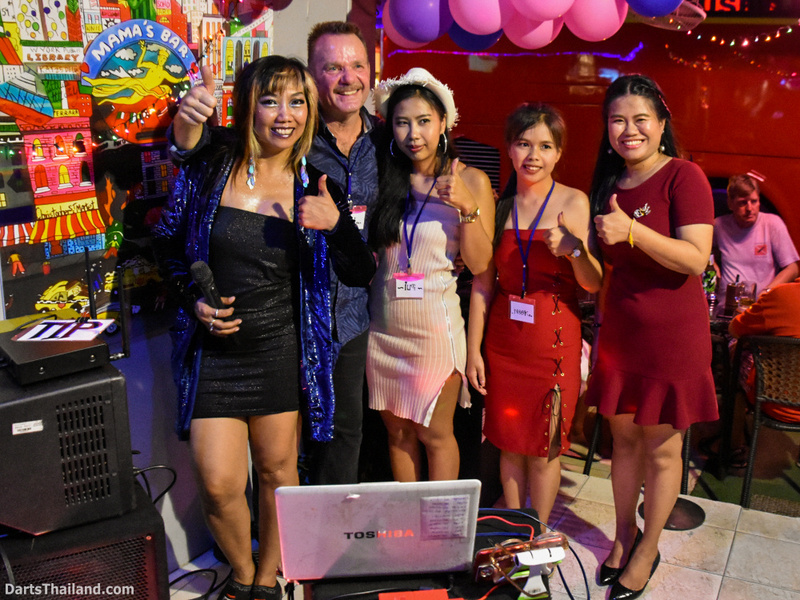 As many in the norther hemisphere are now experiencing your “wonderful winter wonderland” season – it seems only fitting that I contrast that with a recent trip to the most pleasant and always warm Jomtien Beach. 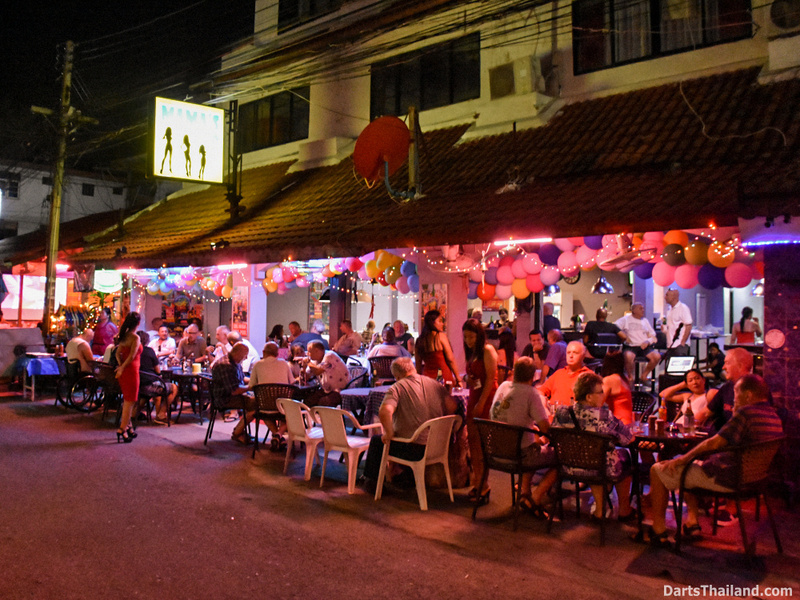 For those of you unfamiliar with Jomtien Beach – it’s a town on the east coast of the Gulf of Thailand about 165 km south-east of Bangkok in Chonburi Province. 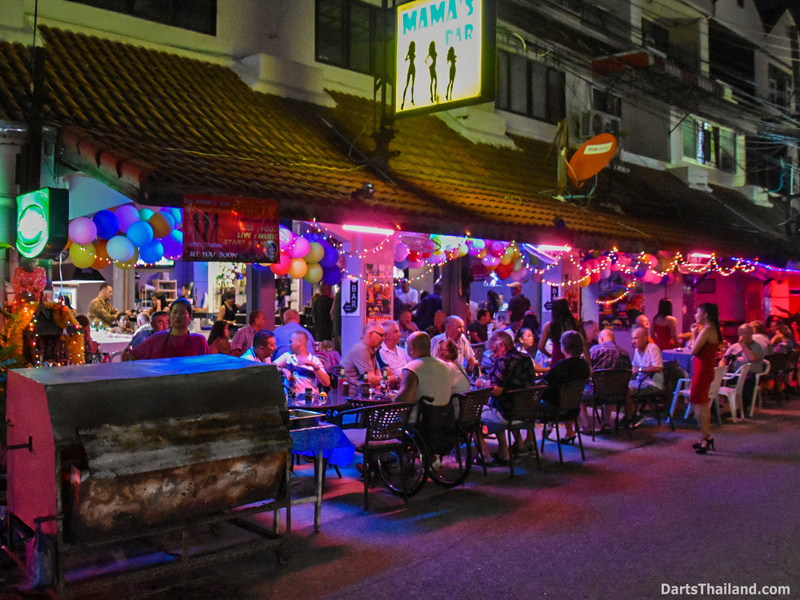 It is about 3 km south of Pattaya – one of Thailand’s most popular travel destinations. 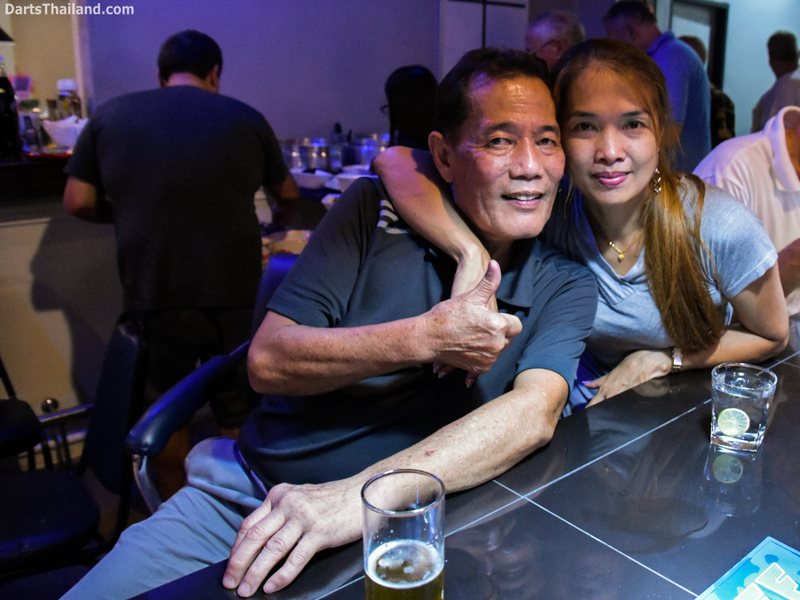 Didn’t get to visit all of Jomtien’s darts venues on this visit – so that will require a future visit or two or more. 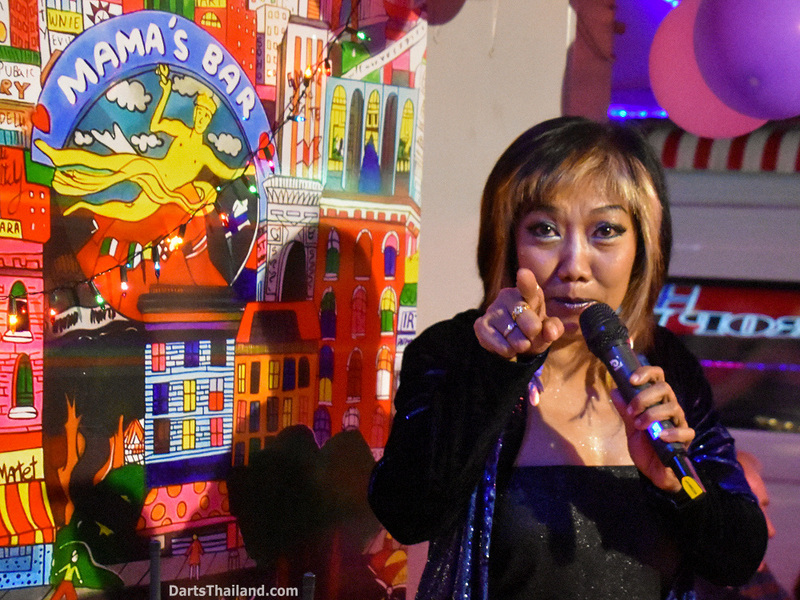 And future Pattaya darts venues updates will require even more visits. 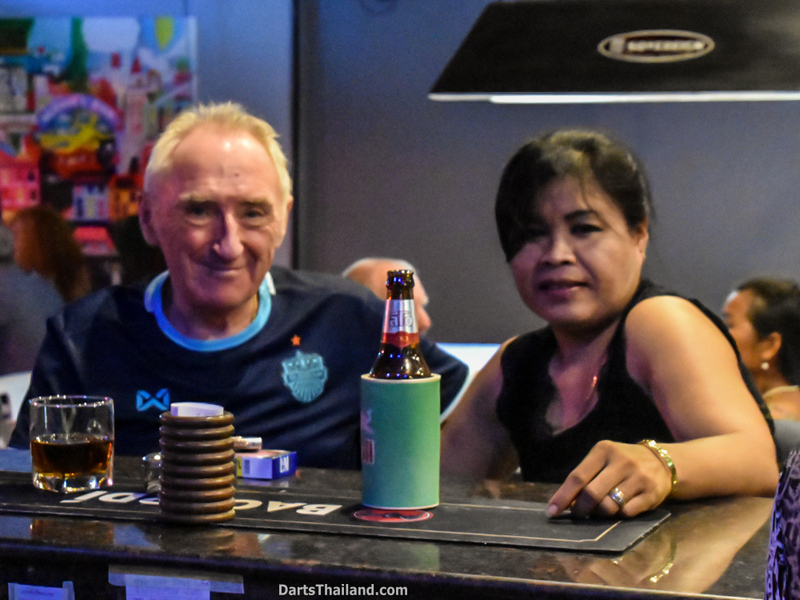 Ah, the sacrifices we here at DT make in order to provide you the best Thailand darts information possible. 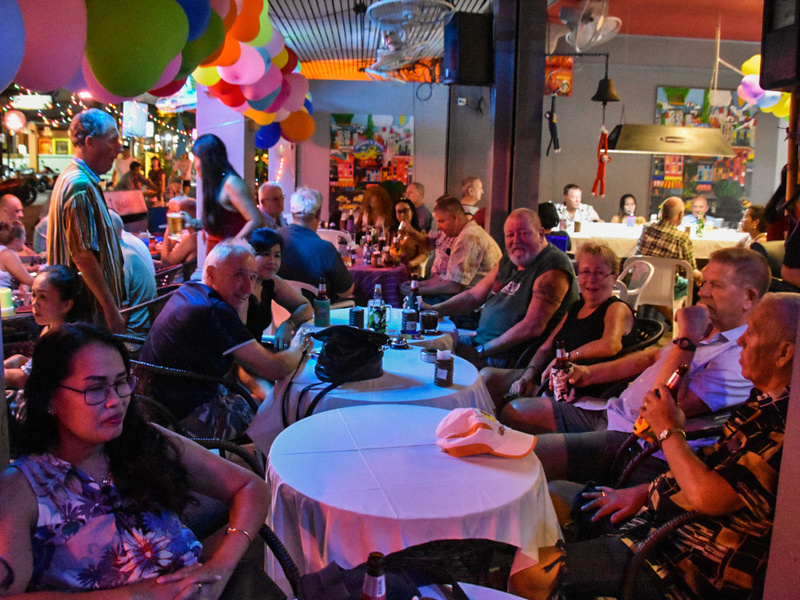 Big Mama’s Bar is on Soi White House – Beach Road – Jomtien Beach. 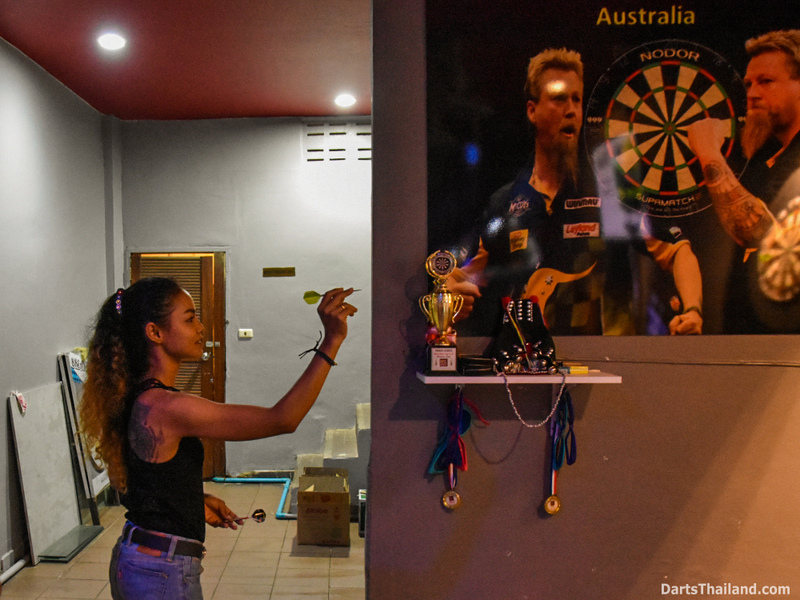 It’s our first featured darts venue in this series. Our good friend Steen let us know about Big Mama’s upcoming party and their new darts team that he’s organizing. 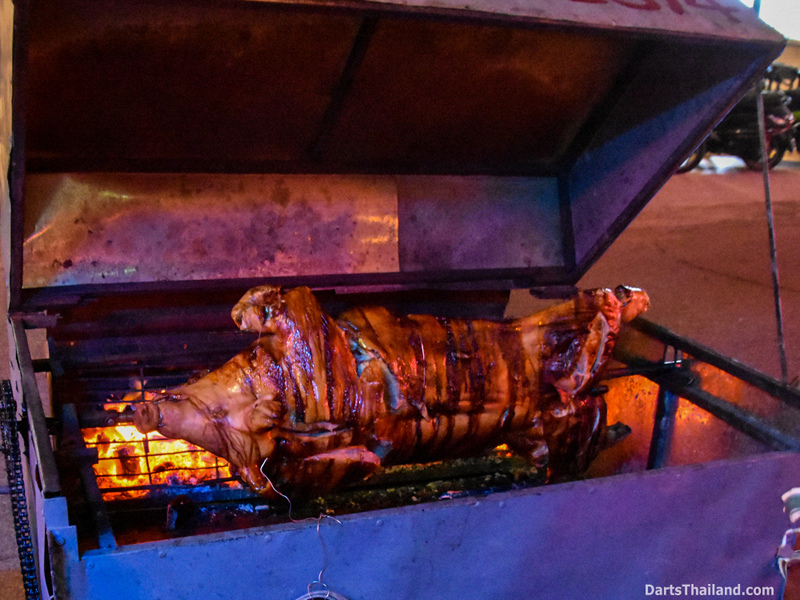 And quite a party it was on Sunday, 11 Nov – with well over a hundred people. 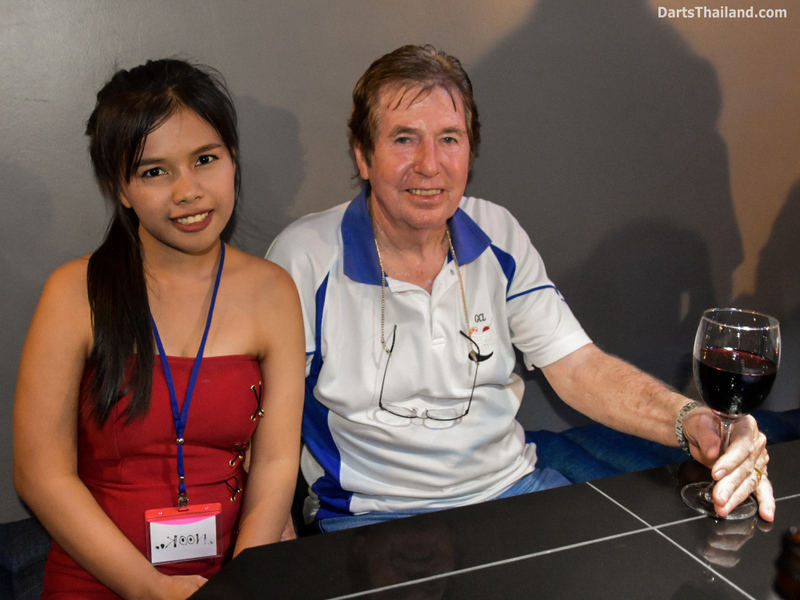 As always it was great to see so many darts friends again and meet new ones. 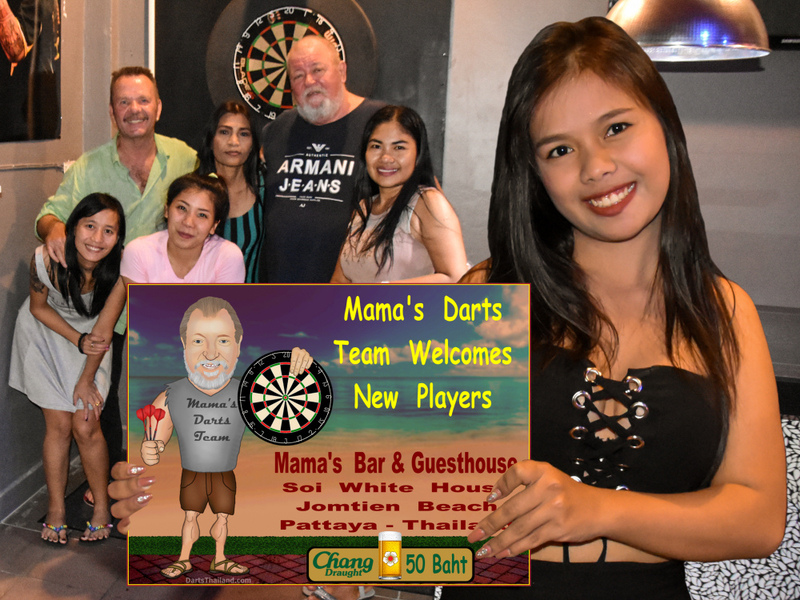 If you’re in Jomtien and looking to join a darts team in a relaxed, friendly bar venue then be sure to stop in Big Mama’s Bar on Soi White House. Ask for Prebsi (not pronounced same as Pepsi – but as close as I got) owner of the bar or Steen – their darts team captain. 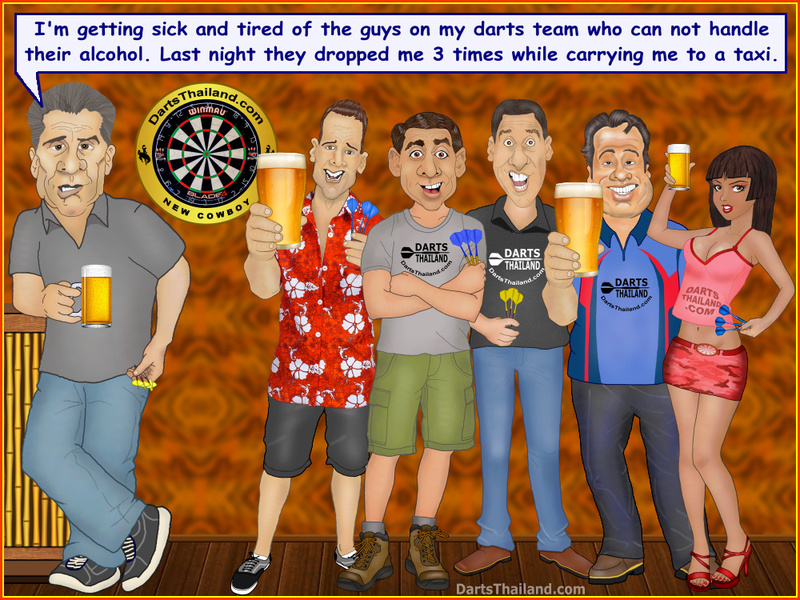 In the accompanying photo gallery in the group pic at the dartboard – Prebsi is on the left wearing the green shirt and Steen is on the right wearing the black shirt. Or the most preferred option – ask any one of the girls. Soi White House is easy to find. 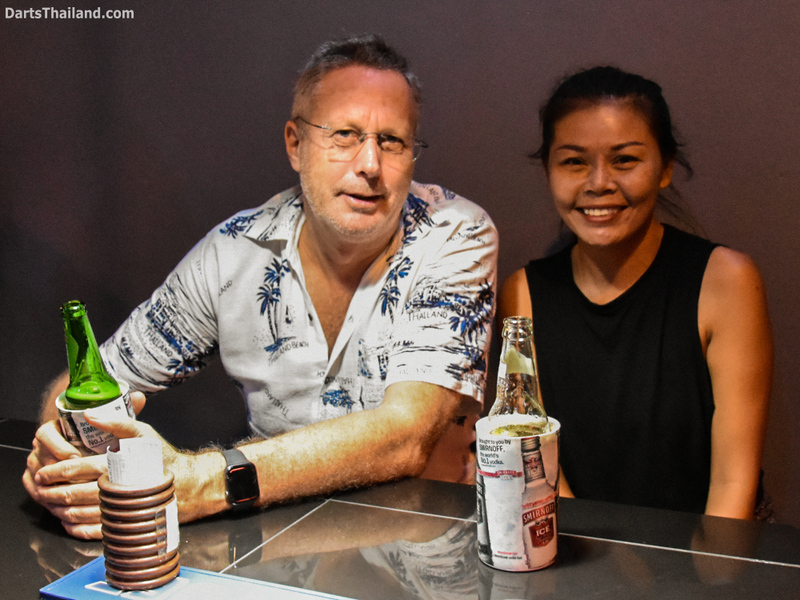 If you’re on the northern end of Jomtien Beach Road – Soi 1 to So7 – then Soi White House is an easy stone’s throw from Soi 7 heading toward Soi 8. 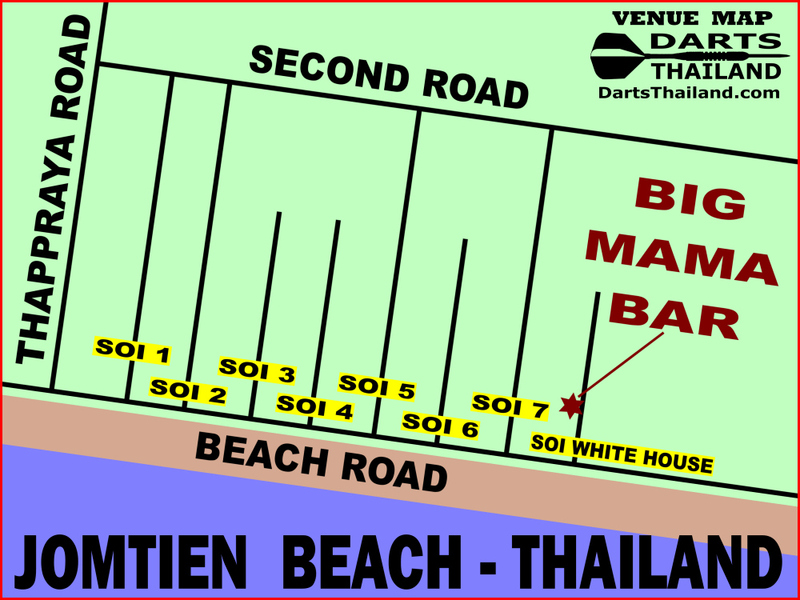 NOTE – Soi 1 to Soi 7 & White House are easy walking distance from each other – but – continuing down to Soi 8 – hmm – not so easy for most. If I haven already totally confused you with this poor verbal map – my visual map in the accompanying photo gallery may help . . . ?